Now at Driven By Style LLC we have slashed prices an extra 10% on top of our everyday 20% off MSRP pricing. Save on brands including Aero Function, Couture Polyurethane, Extreme Dimensions, Vaero and Duraflex Body Kits. No coupon code needed for sale price. We have applied sale pricing to all products for you. Our friendly knowledgeable staff has 10 years in business as an authorized distributor and retailer of Duraflex Brand products as well as the rest of the brands from Extreme Dimensions. What other brands are currently on sale? At Driven By Style LLC we offer over 130 brands of products from body kits to lighting and performance to suspension. From Feb 1 through April 30 we are offering customers additional 5% off all phone orders made when you provide the sales rep with the coupon code "phone5". Our friendly knowledgeable staff is standing by to assist you at 916-476-3925 Monday through Friday 10am-5:30pm. 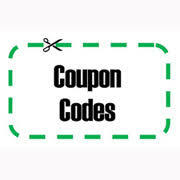 Coupon code cannot be used with brands that are already listed on sale.